Sandy Colbert talks with award winning author Jim Proebstle. 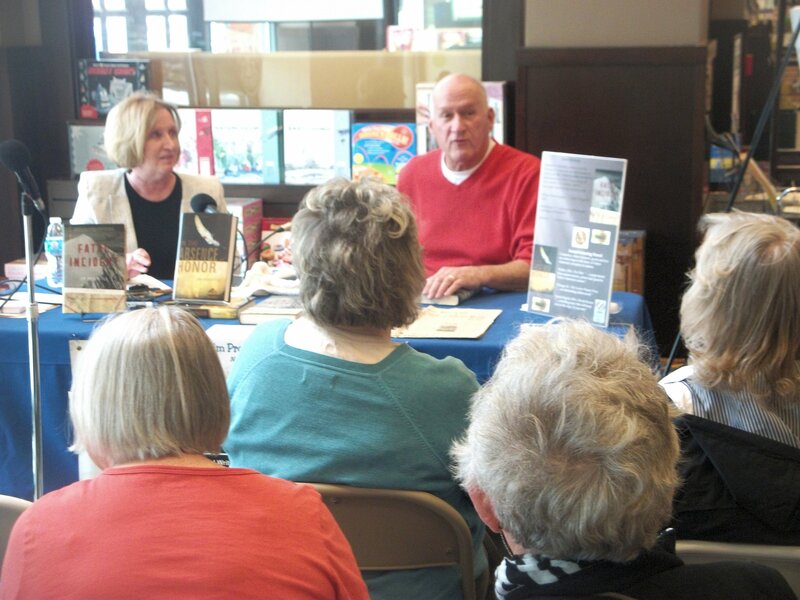 The show was recorded in front of an audience at Barnes and Noble in Cherry Valley, Illinois, on April 19. Wish you had been part of the fun? In Print Radio plans to record more shows with an audience in the near future. Sign up to receive information on upcoming show guests, dates and locations. Dates and times will also be posted on this website and the In Print Facebook and Twitter pages. I want to be part of the audience! Tell me when a live show will be recorded. Tell me when a live episode is going to air on Rockford College Radio. Next Post What Makes a Story Worth Telling?